Finding compassion when you're stressed and running on empty. We all have hard days. Think of your irritation as a red blinking light on your car dashboard, signaling you to take action. "I've been working hard not to yell at my kids. But sometimes I just can't help it. I explode, and then I feel so guilty. I know it isn't really what my kids are doing, it's just me, having a hard day. Is it really possible to stop yelling? What's the secret?" 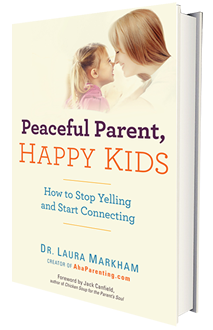 Yes, it is possible to stop yelling, and I've seen thousands of parents do it. b) Flog yourself for not being good enough. Guess if this makes you yell less. Not surprisingly, the best answer is D. That irritation you feel is a message that it's time for preventive maintenance. If you don't do some immediate self-care, you're likely to end up in the breakdown lane, exploding at your child, and feeling remorseful later. Why is that so bad? Research shows that children and teens who are routinely yelled at are more likely to develop depression, anxiety and behavior problems, including physical aggression. Maybe you were yelled at and came out okay, but what would your life look like if you had zero self-esteem issues, zero tendency to anxiety or depression? Breaking the cycle of yelling is a huge gift to your child. 1. Stop. Drop (your agenda, just for the moment). Breathe. Remind yourself that there's no real emergency. Take a few deep breaths. That moves you back into the present moment, so you won't get hijacked by your big emotions. Now you have the choice of how to react. 2. Resist acting while you're angry. You'll feel an urgent need to act, but that's just an indication that you're in a state of emergency -- "fight or flight." It's your signal, like the blinking light. If there's danger involved, set whatever limits you need to, as patiently as possible. But resist the urge to discipline. Any lesson you need to teach will be better taught later, when you're calm. Kids can't learn when they're upset, and if you're upset, they'll be upset. The most important lesson you can teach your child at this moment is self-regulation, and you do that by modeling. 3. Summon up all your compassion and give yourself the nurturing you need. We tend to think we have to wait for someone outside of us to take care of us, to give us the love we need. But parenting our children requires that we learn to parent ourselves. 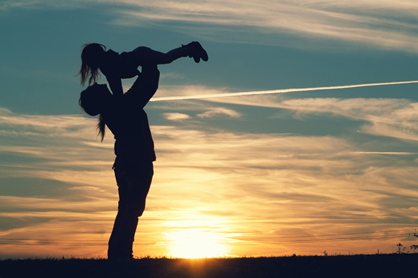 The loving parent you need in those tough moments is inside you. Growing up means taking the responsibility to nurture ourselves, so we can act like a grown-up when our children act childish. So give yourself a hug (literally). Bless yourself with the warmth of your own love. Now ask yourself: What could you do right now to return yourself to a state of love and well-being? Then, just do it. If you need a big change -- more sleep, or exercise -- make a plan to create it. And if it's something you can't do until later, like go to bed early tonight, write a promise to yourself, put it in a prominent place, and keep that promise. Still cranky? Gather your kids, hug them, and say "I'm so sorry, but I'm a bit cranky today. I'll try to be kind to myself so I'm not cranky with you...Can you try to be kind to me too? I promise I'll go to bed early tonight (or whatever) so I'm not cranky again tomorrow. Now, let's have a do-over. Here's what I need from you." Children learn so much from that -- how to manage themselves, how to empathize, how to ask for what they need in a respectful way. Kids sense when we're disconnected and stressed, and act out, so often your hug will reel them back to their best selves, too. Sure, they'll forget and screech and push your buttons, but they'll do less of that than usual. And you're taking responsibility for your own irritability, so they don't feel like bad people just because they're acting like kids. Later, each time you find yourself starting to raise your voice, you can stop, breathe, and say "So sorry...that's my crankiness talking...let's try a do-over....Here's what I meant to say.... Sweetie, I need it to be more quiet right now...what's a good solution? Can you go outside to play this game?" What if you find yourself routinely irritable? Take a Vow of Yellibacy -- make a family commitment to a respectful tone. Agree on a hand signal for anyone in the family to use when your tone is less than respectful. Then, as soon as you notice your tone, just STOP and say "Oops..... Let's try a do-over.... Let's all breathe together ten times.... Ok, let's try that again... What I meant to say is...."
Want more of a plan to stop yelling? That's our last post: You CAN Stop Yelling. Here's your 10 step plan. Want to support yourself for real change? 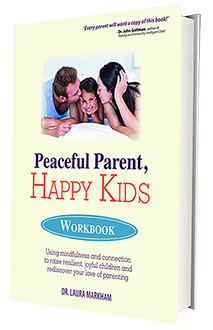 Today is your last chance to register for the Peaceful Parent, Happy Kids Online Course that begins next week. 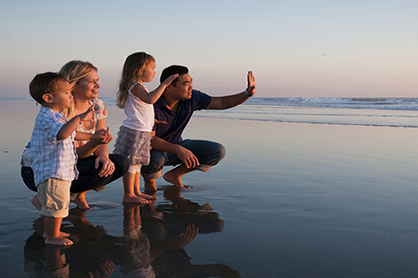 Gift your whole family a better new year! Take a look at the raves from parents who've taken it to see if you think this self-paced course might be a good fit for you. See this article in French. 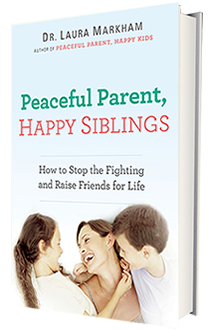 Give yourself more support: Dr. Laura's Online Course.